NOTE from Lotus Guide: It’s obvious to anyone with a few brain cells still firing that “something” is going on out of the ordinary on our planet and specifically in Northern California regarding the wildfires. Here’s where many of us get into trouble when it comes to not defining “something.” After a long hard search on some of the theories I’ve been hearing about, I’ve yet to get hard evidence on things such as directed energy weapons (DEW), for instance. As tempting as it is to simply believe some of these stories with no evidence, I think it’s far more important to look at what we know for sure while we continue to look for evidence to prove or disprove things such as DEW. I talked with Dane Wigington on the phone about this and the evidence is clear that geoengineering is a contributing factor to the wildfires and what he calls “incendiary dust” very well could be a contributing to the intensity of these fires. There’s no doubt that we are living in desperate times that call for desperate measures, but when those measures are shown to make things worse we need to regroup, reevaluate, and try something else. Personally, I’m not sure what to do but I do know that these programs and others such as 5G technology need to be researched and fully transparent so we the people can take part and have a say-so. Yet again forests in the Western United States are incinerating at the same time that the U.S. East Coast is anomalously wet and cool. All official sources are blaming the rapidly increasing extreme and deadly wildfire behavior on global warming alone, but is that the full truth? What factors are “official sources” not informing us of in regard to the increasingly destructive wildfires? 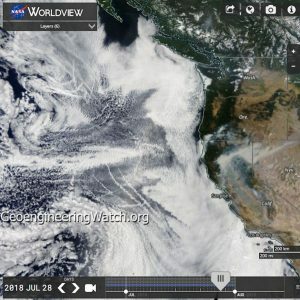 The NASA satellite image reveals massive climate-engineering operations being carried out over vast expanses of the Pacific Ocean off the West Coast of the United States. The geoengineering/solar radiation–management operations completely disrupt the hydrological cycle and thus fuel drought and fires (a scenario thath has been ongoing). The image was captured on Saturday, July 28, 2018. 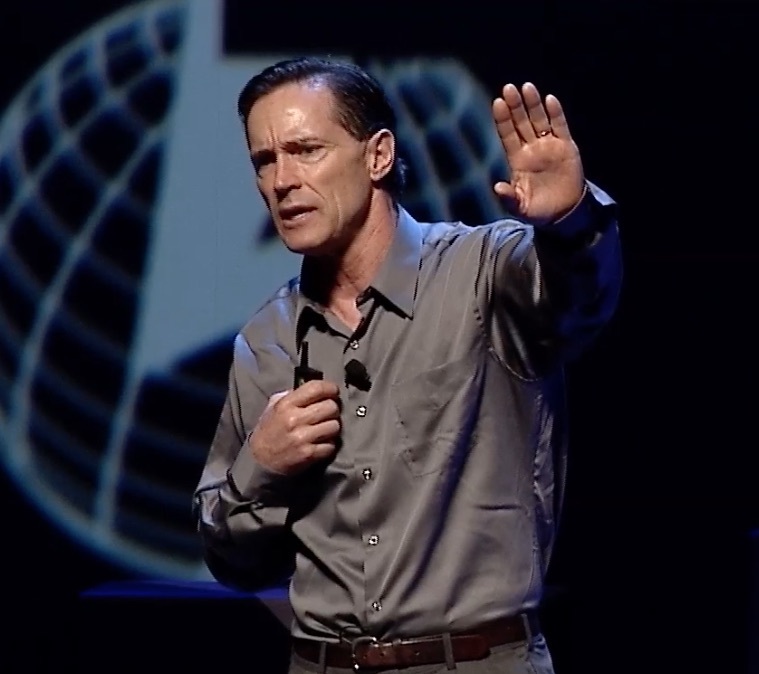 This happened to be the day that a long-planned climate engineering–awareness and call-to-action event had to be canceled in Redding, California, Because of the Carr Fire. Smoke from the Carr Fire is clearly visible on the NASA satellite image. Though there are countless forms of human activity damaging the climate and biosphere, illegal global climate engineering/solar radiation–management operations are a primary causal factor fueling catastrophic wildfires all over the globe (which official sources are not disclosing). Climate engineering is completely disrupting the hydrological cycle, triggering increasing dry lightning, destroying the ozone layer, contaminating soils, and covering everything at ground level with an incendiary dust (from the fallout from atmosphere-spraying programs). Geoengineering is nothing less than weather warfare. All around the world forests are incinerating at an ever more-rapid rate being further fueled by the climate engineering assault. If the current trajectory of biosphere collapse continues, these forests are not coming back. All of us must work together in the effort to fully expose and halt the ongoing climate engineering/weather warfare assault. How? By circulating credible data from a credible source. Make your voice heard in this all-important battle. For more information go to www.GeoEngineeringWatch.org.